Totem poles have existed at Walt Disney World for nearly 40 years, but they have evolved over the years from simplistic, pop culture creations to carefully imagined and expertly carved artworks in an authentic Native American tradition. Some of the most impressive of these totems can be seen in the deluxe resort of Disney’s Wilderness Lodge. This beautiful resort is a tribute to the national park lodges of the Pacific Northwest, which makes it the perfect home for totems that celebrate the folklore of the Pacific Northwest’s native inhabitants. 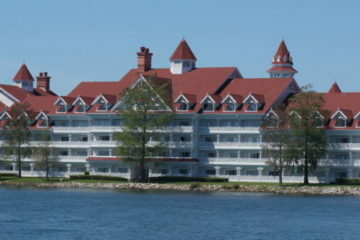 Wilderness Lodge is home to three impressive totems in all. One of these totems is a light-hearted tribute to well-loved Disney characters. The other two totems stand in the towering lobby of Wilderness Lodge, and these twin poles are traditional story poles that tell classic tales from the folklore tradition of native North American tribes. 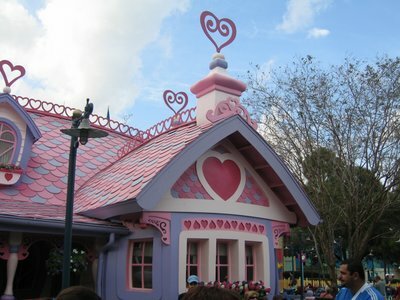 The pole near the gift shop features Disney characters. 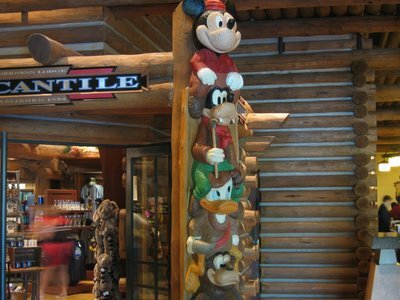 The character pole stands in front of the Merchandise store of the resort. 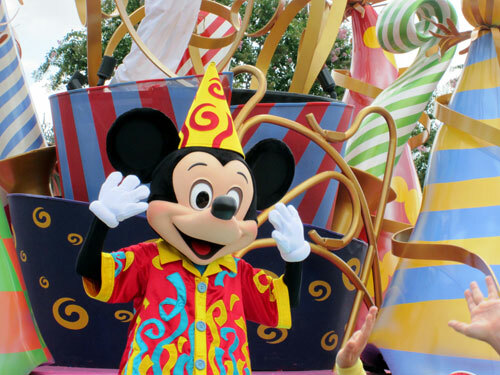 This pole is easy for guests of all ages to appreciate, with Mickey Mouse atop Goofy atop Donald Duck atop the somewhat less well-known Humphrey the Bear. 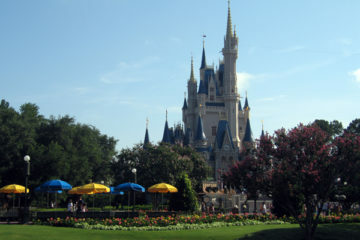 No Disney location would be complete without some form of salute to the famous characters that helped to make Disney what it is today, but the other totems are also tributes to the attention to detail and authenticity that have helped Disney to make its mark. 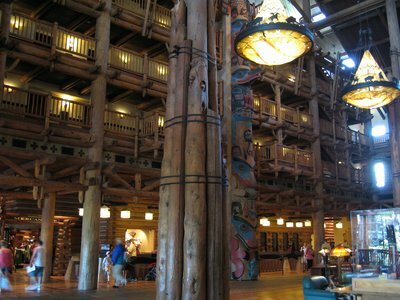 The two story totem poles in the Wilderness Lodge lobby are the creations of renowned master carver Duane Pasco. The poles are each 55 feet high and five feet wide at the bottom, tapering to three feet wide at the top. Pasco and his team used chainsaws to create the rough shapes of the poles out of old-growth red cedars, before continuing with the fine carving work using traditional carving tools such as knives and adzes. The carving process took six months to complete, and the enormous poles took a full five days to install in the lobby. The two poles are now officially named the Eagle pole and the Raven pole. The Eagle pole stands near the Wilderness Lodge registration counter, and the Raven pole stands opposite in front of the Whispering Canyon Café. The poles are an impressive sight regardless of your familiarity with totem poles and Native American folklore, but it can enhance your appreciation of these pieces to know the stories that each tell. Totem pole stories are read from bottom to top. The stories of the Eagle pole begin with Bear Chief and end with a story of the helpful Eagle. 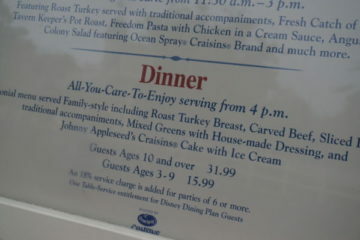 Bear Chief is throwing a big feast for his nephew, where he plans to give him a copper shield. The shield is being protected by Klu-kun the Mountain Goat who loaned his hooves to a person who was hunting for copper in the high mountains. Above Mountain Goat is another helpful creature: the motherly Mouse Woman who looks after the welfare of young people and animals. Clamshells from which Raven released the first humans sit above Mouse Woman, followed by Beaver who serves as a peacemaker between Raven and Eagle. Eagle crowns the top of the pole, having heard the cries of a girl who married one of the Undersea People but soon missed her village. Eagle flies to rescue her, but they both fall into the ocean when she looks down and must struggle through the waves to reach the shore. 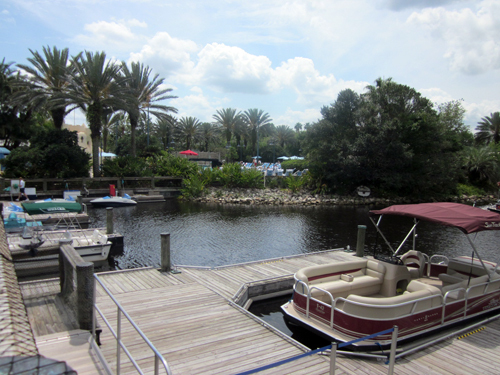 You can find a total of three totem poles in the resort. The stories of the Raven pole also begin with a might animal chief. Whale Chief refuses to marry his beautiful daughter Dolphin to Mountain Lion. In his anger, Mountain Lion gives Whale Chief deep scratches that remain in many whales to this day. Frog helps the two to reach an agreement, in which Whale Chief holds an archery contest for the right to marry Dolphin. Tiny Wren, with a bow and arrow make from spruce needles, hits the center of the target an wins the contest. The other animals are furious and chase Wren into a knot hole, where wrens have lived for safety ever since. Wren and Dolphin moved to a small island under the protection of Hootis the Bear Chief, where Dolphin would leap for joy whenever Wren sang. The Salmon people traveled up the rivers and streams to visit their friend Dolphin. Finally, the Raven at the top celebrates because he has stolen the sun, moon, and stars from Sky Chief to share with the world.